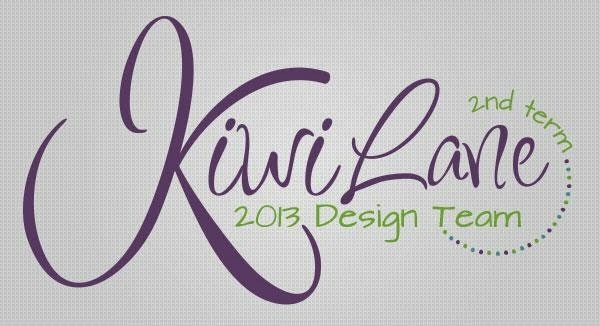 Before we get to the sketch, it's time to announce the winners of the Kiwi Lane accessory templates I was giving away last week. Jo Ann Portell and Michelle Rivera Pleasant - you are both winners! 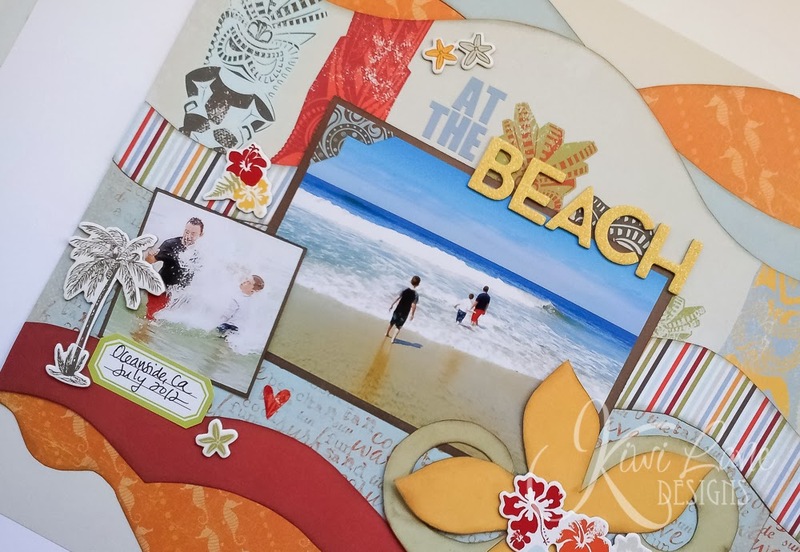 Whoo-hoo! 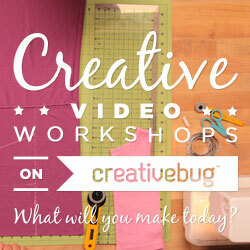 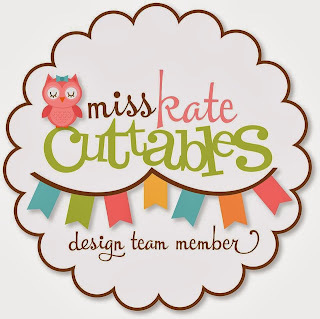 Look for my email so I can get your address and get your templates in the mail to you. 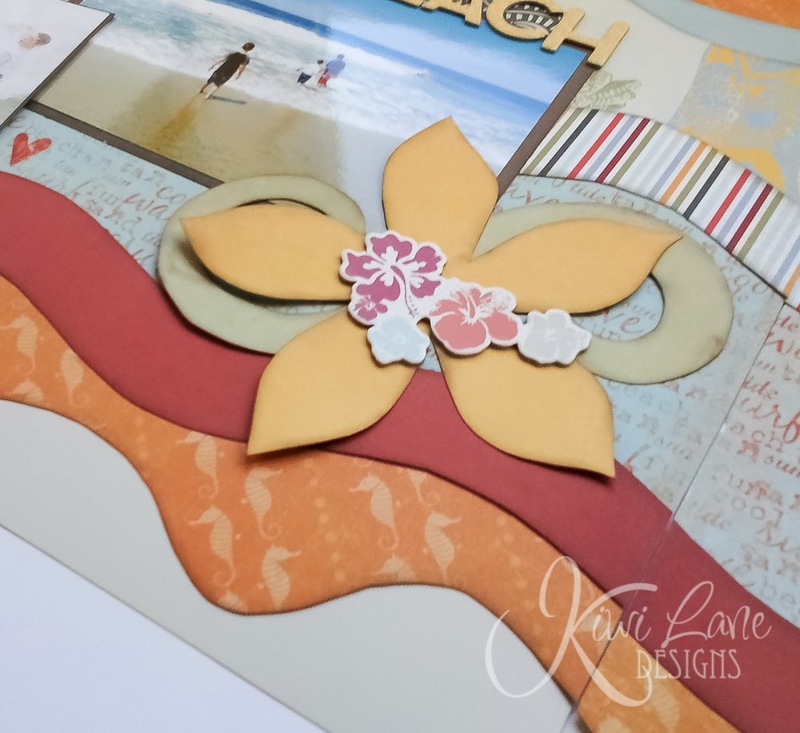 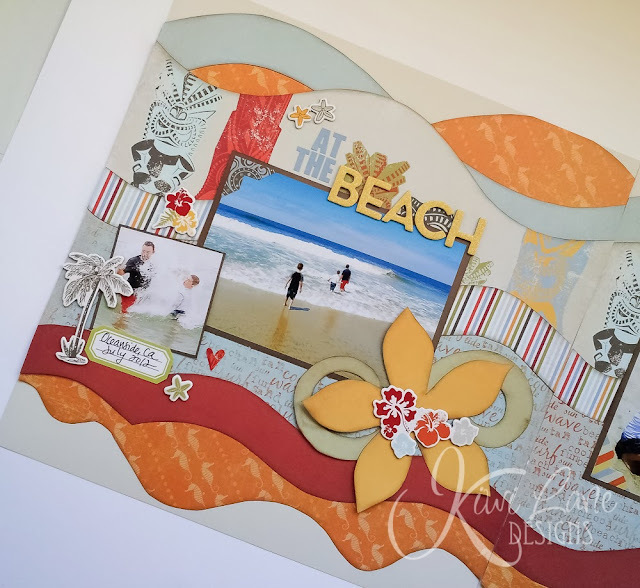 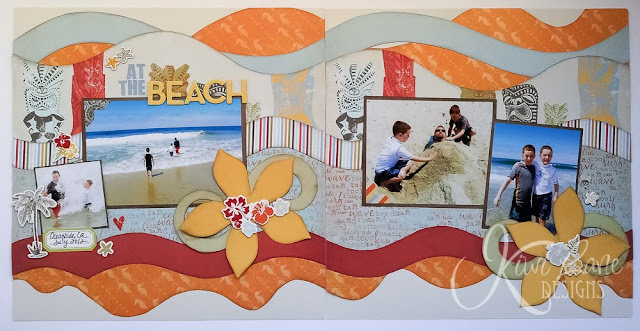 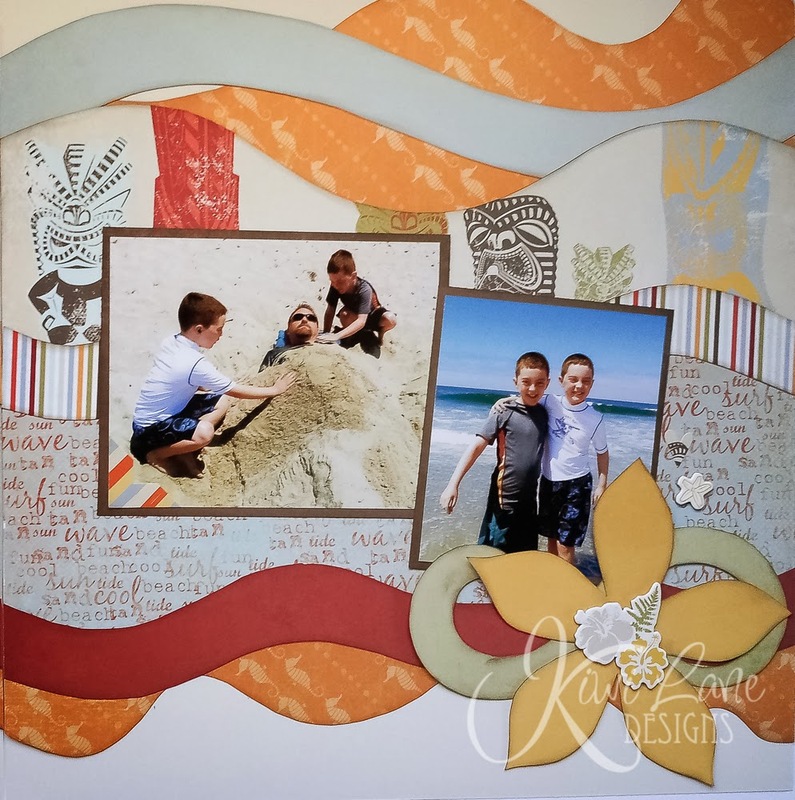 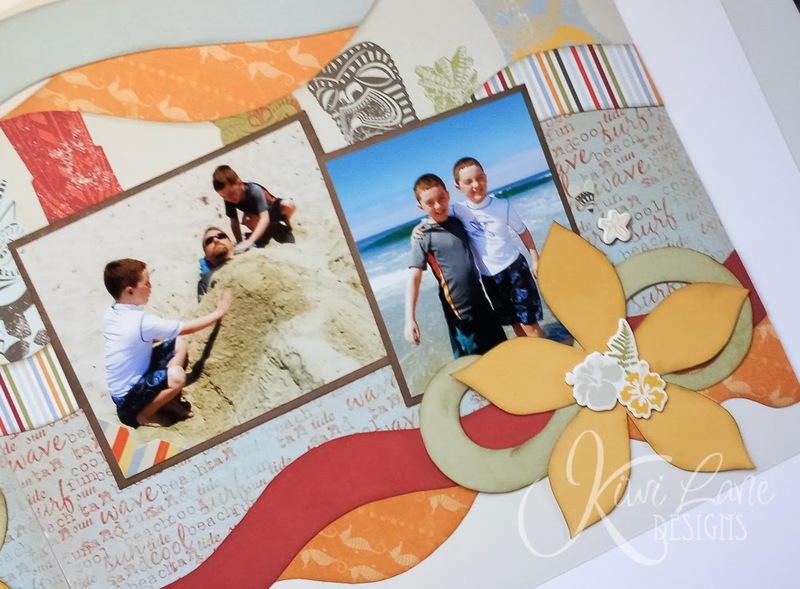 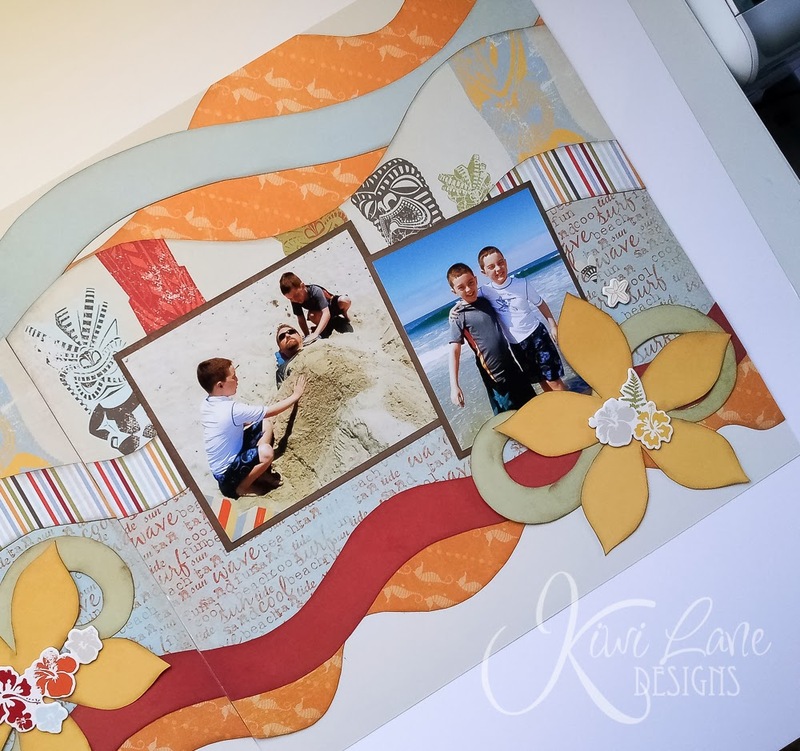 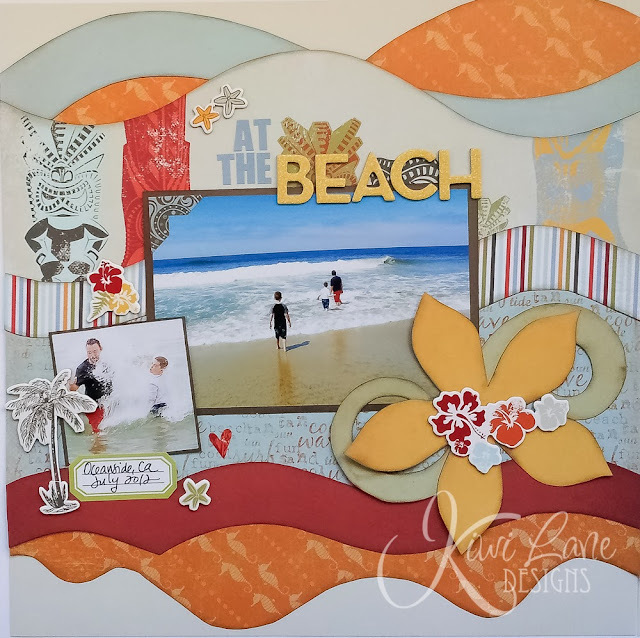 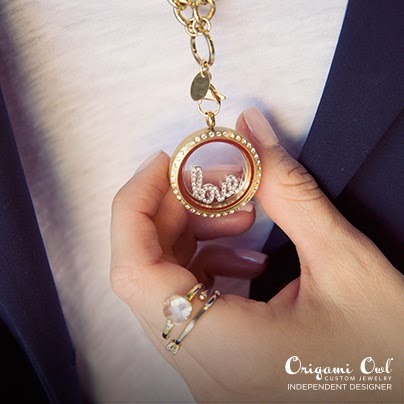 The papers and embellishments are all from the Wave Searcher collection from Fancy Pants. 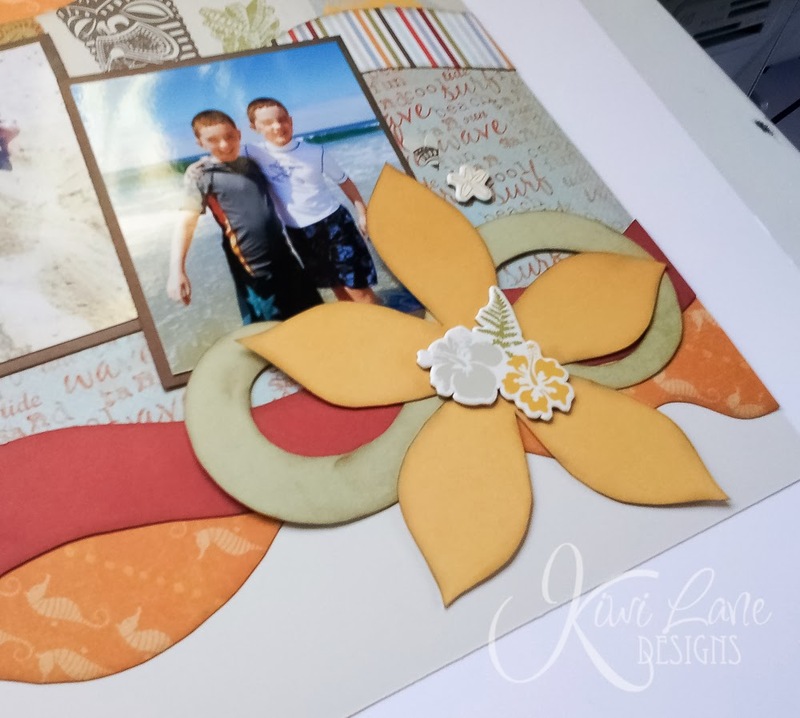 Love the color combos in this set! 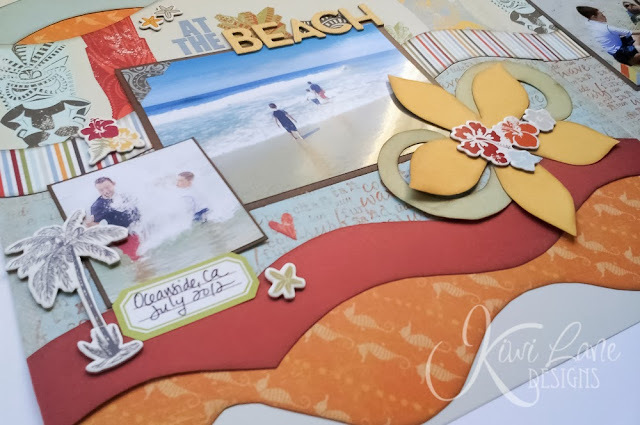 I also added in a few older papers from my (way too large) paper stash too. And the Thickers are Macaw from American Crafts. 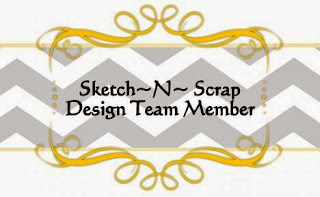 This sketch has lots of room to get creative and add even more photos if you'd like. 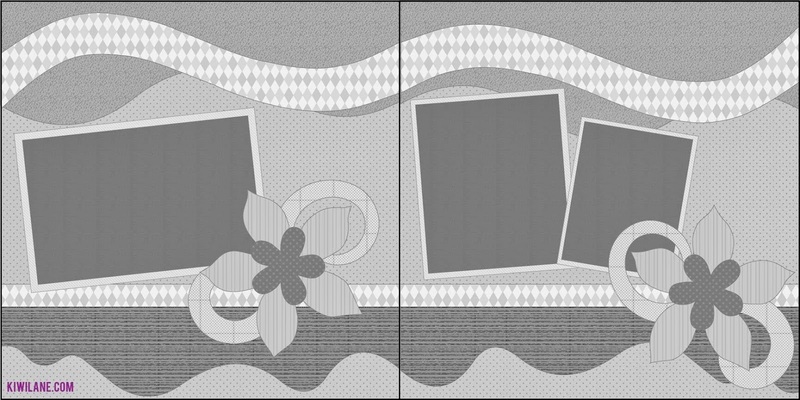 Again, I really love all the waves and layers from this sketch. 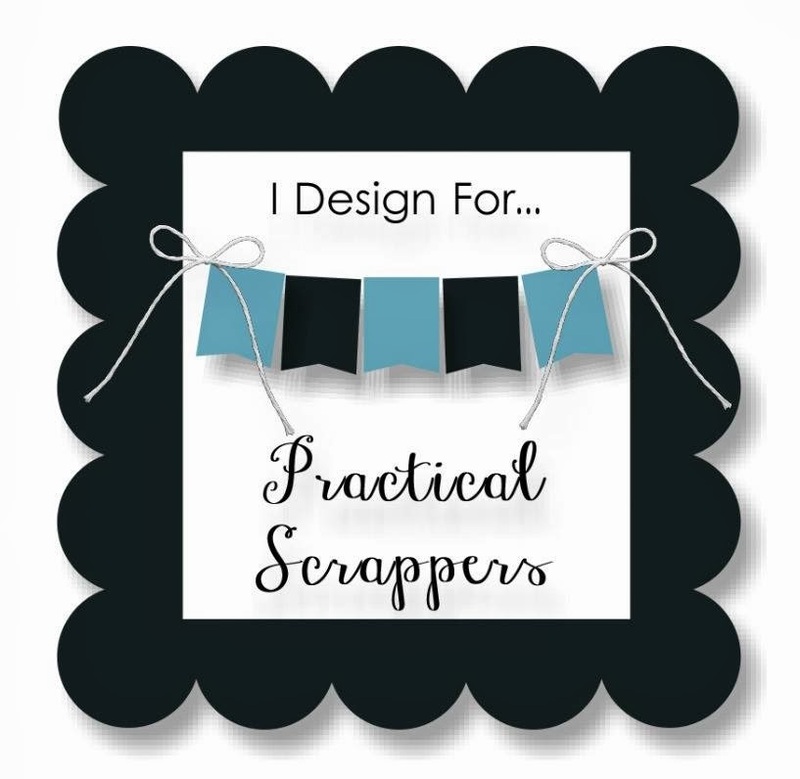 Perfect for making use of all those awesome patterned papers in your stash!